This is a wonderful tomato sauce recipe made with fresh garden ingredients and plenty of habanero pepper flavor and spice. 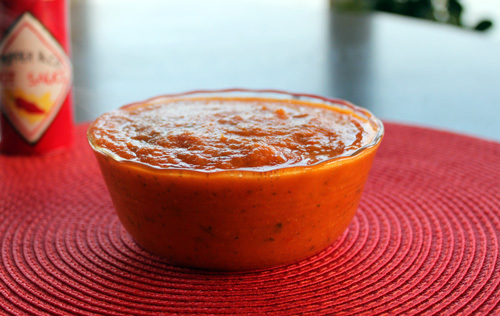 If you enjoy making your tomato sauces at home from scratch, you'll find this recipe very useful. We used an immersion blender to mix the ingredients into a very saucy consistency, but if you prefer your tomato sauce more chunky, skip the blender or only blend part of the sauce. This makes 5 cups. Roast and peel the jalapenos and sweet red pepper. 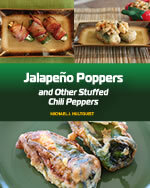 See instructions for roasting jalapeno peppers and other peppers. Peel tomatoes. If you do not know how to peel tomatoes, click here for some simple instructions. Heat a large pot to medium heat and add one tablespoon olive oil along with carrot and onion. Add garlic and tomatoes. Chop tomatoes in the pot with a wooden spoon. 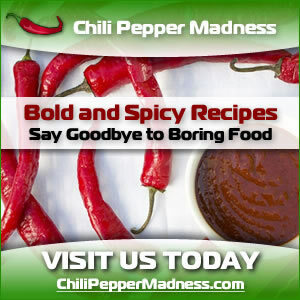 Chop the roasted jalapeno and red pepper. Add to pot. 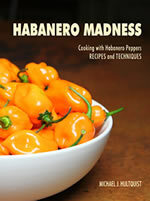 Finely dice the habanero pepper and add to pot along with basil, sugar and remaining olive oil. Stir, cover and reduce heat to low. Simmer at least one hour. Use an immersion blender to process the sauce. Makes 5 cups.